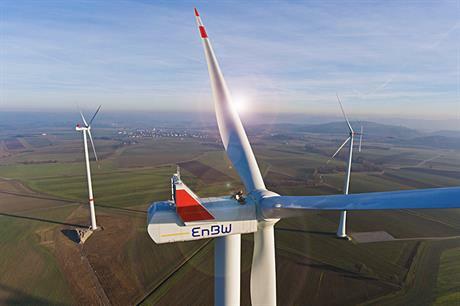 SWEDEN: German developer-utility EnBW has opened an office and invested in its first wind farm in the country. The 11MW Råmmarehemmet in the southern town of Tidaholm will consist of three 3.4MW Senvion turbines and is due to enter operation in the summer of 2019, EnBW stated. The Germany company added it had taken the final investment decision towards the project’s construction. Further south, EnBW will also open a new office in the municipality of Falkenberg. EnBW described Sweden as having "good wind conditions" and added that its regulatory system and financial support mechanisms offered "very good conditions". The utility-developer had entered the Swedish market in 2016, through the acquisition of servicing and maintenance provider Connected Wind Services, which is headquartered in Denmark but has an office in Falkenberg and operates in Sweden. EnBW has 938.45MW of operational wind capacity, according to Windpower Intelligence, the research and data division of Windpower Monthly. The majority (675.65MW) of this capacity is in its native Germany, though the developer also owns projects in Turkey (262.8MW) and has sites under construction in the US and France. The company also operates coal, gas, and nuclear plants, as well as solar and hydropower projects. It aims to grow its renewables business to 40% of its total power generation by 2040, up from approximately 26% at the end of 2017.